Mindfulness is all a buzz now, and for good reason. Mindfulness shows us how to be with and accept our reactions to our experiences in a non-judgmental way. It can help us to learn to love and accept ourselves and others more, lower stress, anxiety, depression, pain, enhance our health, help us prevent disease, and create sense of calm, peace, and joy. It is a skill that allows us to be with our senses without reacting to them in a negative way. What resists persists, and if we resist our experience we can feel worse. Mindfulness Meditation has its roots from the Buddhist Meditation known as Vipassana – which means “clear seeing” and is similar to Christian Contemplative Prayer. It allows us to “neither cling to, nor resist” what is happening. It is being present with non-judging awareness, allowing thoughts, feelings, emotions, and sensations to come and go without reacting to them or getting caught up in them. This can increase awareness, clarity, and acceptance of the present-moment reality. We all want to feel good. When we don’t we can get upset, because we’re upset. We can become sad, because we’re sad. We can become angry or frustrated, because we’re angry or frustrated, in more pain, because we’re in pain, and many combinations, interplays, and layers of this. Mindfulness allows us to break free and step back from a part of us that is caught up in this. Mindfulness allows us to observe what is happening and to break our identification with these parts of ourselves. Once we begin to watch and observe the thoughts, feelings, body sensations, and emotions without judging them an interesting phenomenon begins to happen – they begin to transform. The tension that we were holding and the resistance of being caught up in them begins to lessen. Then, the thoughts, feelings, and sensations have space (energy) to change. When we practice Mindfulness in a loving way, with love, compassion, and acceptance of the experience, the uncomfortable places can begin to heal. 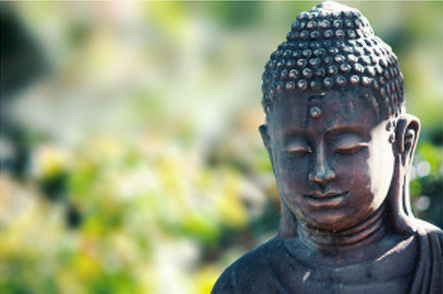 Mindfulness can also be applied to learning to accept real life experiences. As you practice Mindfulness this may naturally occur. The serenity prayer summarizes this well, “God grant me the serenity to accept the things I cannot change, the courage to change the things I can, and the wisdom to know the difference.” If there is an area of your life that you feel you cannot accept, Mindfulness allows you to accept your reaction to the situation. Through regular practice of Mindfulness, in time you may begin to make peace with the situation, or the situation itself may begin to transform. Mindfulness can induce the Relaxation Response which can positively affect how your genes express, and prevent or heal illness and disease. There are many ways besides Mindfulness to induce the Relaxation Response that is the antidote for the Stress Response. The Relaxation Response can help you connect with your Intuition, which is an invaluable tool to draw upon in your life for understanding and making sense of certain experiences, challenging situations, learning to make the best choices, and to experience more peace and joy. Accessing your Intuition may occur naturally as you practice Mindfulness and may further benefit your overall health and well-being. This can be practiced from one breath to 5 minutes up to 60 minutes, and can be incorporated into your daily life activities. Sit or lie down comfortably with your eyes closed. Bring your awareness and your attention to your breathing. When thoughts, emotions, physical feelings or external sounds occur, simply observe them with a non-judging attitude, accepting them, giving them the space to come and go. When you notice that your attention has drifted off or becoming caught up in thoughts or feelings, simply note that the attention has drifted, and then gently bring the attention back to your breathing, without judging yourself. It’s ok and natural for thoughts to arise, and for your attention to follow them. No matter how many times this happens, just keep bringing your attention back to your breathing, while observing with self-love and compassion. Mindfulness can be practiced through your daily activities. You can become aware of your present activity and reaction to your experiences with love and acceptance. This can help you to take you out of thinking about the past or future, worrying, or planning and helps you to pay attention to how you feel now. Taking a gentle, deep breath in and out, and pausing can connect with the part of you that watches and observes in a loving and compassionate way to what you’re experiencing. 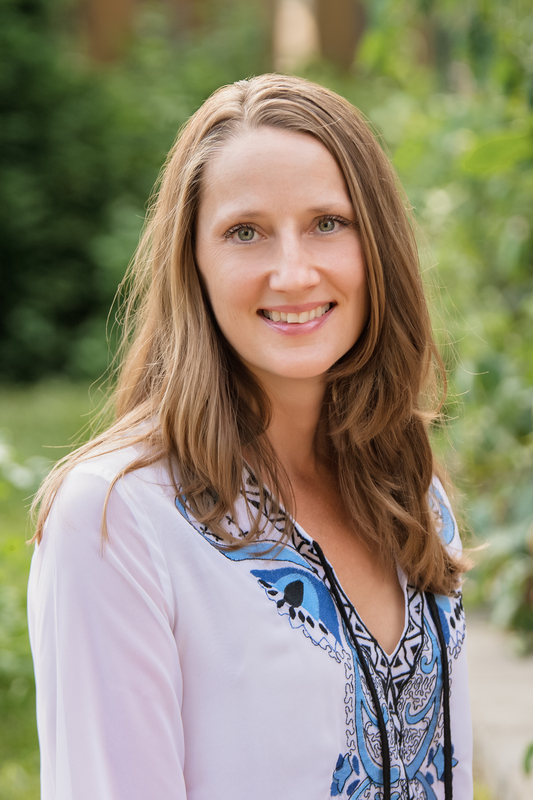 Emmy Vadnais, OTR/L is available for one to one interactive Mindfulness Meditation sessions that can heal areas that may seem stuck or more challenging to transform on your own. She also teaches group meditation classes. Consult your primary health care practitioner if there is something persistently occurring that needs attention or support.